If you find yourself waiting around for someone to reply to your messages, things just got a lot easier. Facebook just launched a new feature in their messenger app that allows you to play some neat games while you wait for your crush to seenzone you. The games available feature big names like Space Invaders, Pac-Man & Words With Friends Frenzy. The games load up very quickly as they are built on HTML5. To play these games, all you have to do is hit the game controller icon in any message thread, select the game and get started. Facebook hopes some friendly competition will keep users engaged and make them spend more time inside the app. You compete with your friends by setting a high score in a game so it is much more convenient than setting up a live versus match. It is also available on your computer. 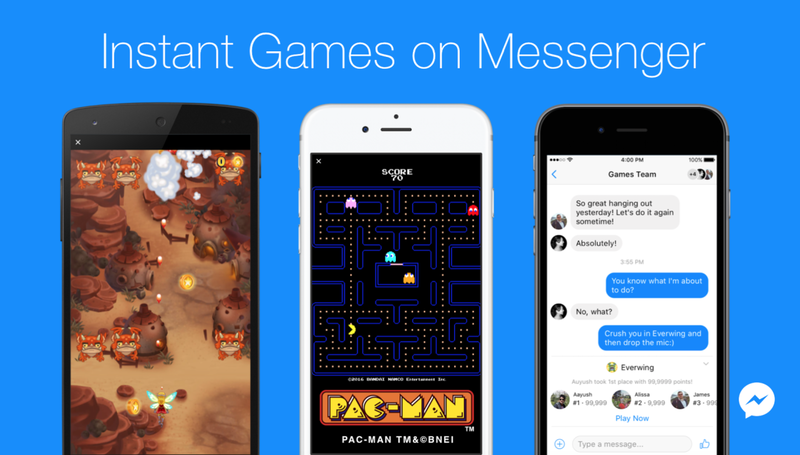 Instant Games launched in 30 countries with 17 game titles for newer iOS and Android devices. Right now there are no advertisements or in-app purchases but that could quickly change and score Facebook some big bucks. Instant Games has not yet arrived in Bangladesh yet but be sure to stay on the lookout for when it drops.